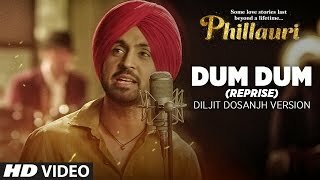 Dum Dum (Reprise) Lyrics from Phillauri a reprise version of Dum Dum by Diljit Dosanjh. The song is composed by Shashwat Sachdev and lyrics are penned by Anvita Dutt. Dum dum udti hai duaa..